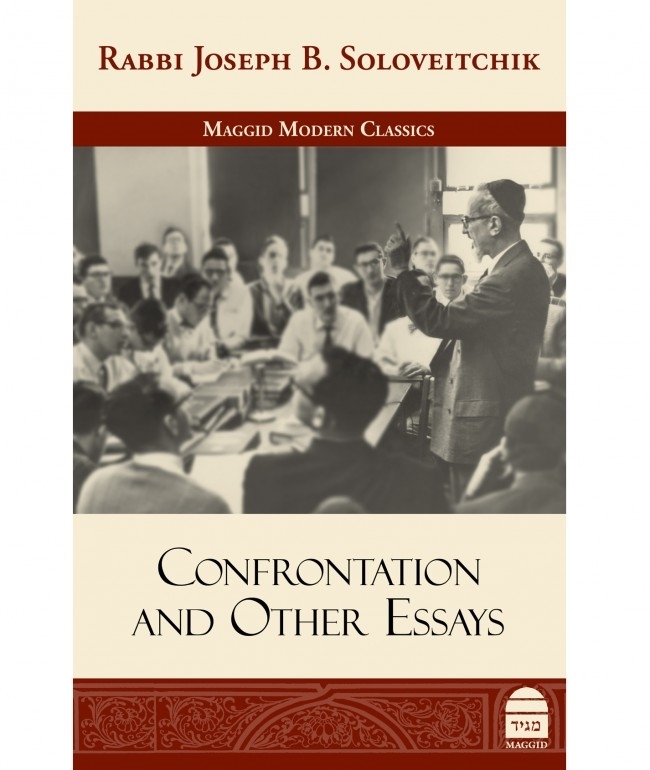 This volume brings together five classic works by Rabbi Joseph B. Soloveitchik, one of the most eminent Jewish thinkers of the twentieth century. These essays – some collected here for the first time – address both perennial questions of religious existence and dilemmas specific to the modern era. They cover topics such as individual and community; the necessity of personal sacrifice in religious life; the Jewish attitude to physical pleasure, emotion, intellect, and humility; prayer; redemption; Torah study; and interfaith dialogue. The essays serve as prime examples of the depth and insight that have earned Rabbi Soloveitchik’s writings entry into the canon of Jewish and general religious thought. In this volume are: “The Community,” “Majesty and Humility,” “Catharsis,” “Redemption, Prayer, Talmud Torah”, and “Confrontation” (with a postscript, “On Interfaith Relationships”).